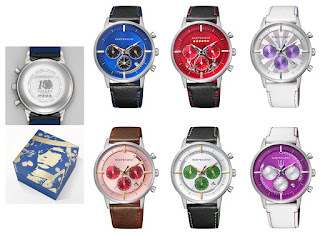 It's taken a while since they were originally announced but Sunday's fan meeting event revealed that the INDEPENDENT x Sengoku Basara Citizen watches are now available for preorder. 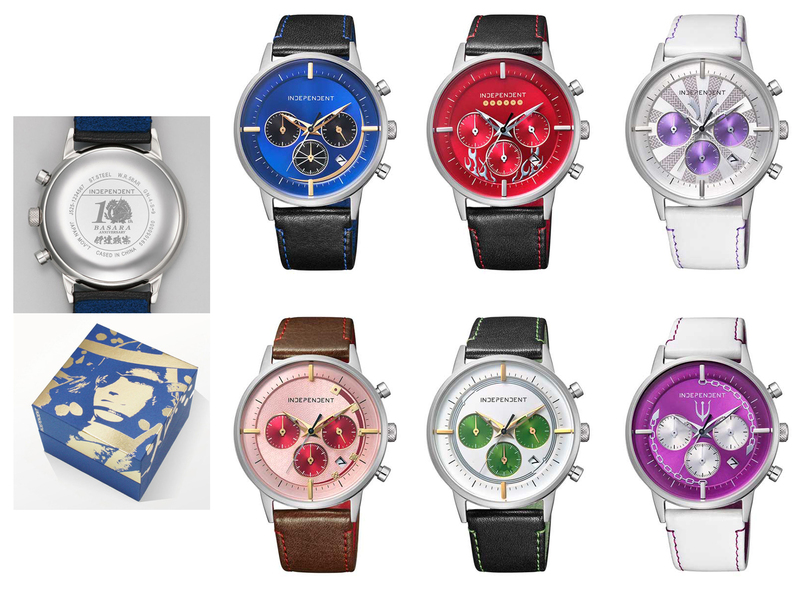 The Masamune, Yukimura, Mitsunari, Sakon, Motonari and Motochika watches will all go on sale in February 2016 for ¥23,000 (before tax). Customers who purchase through the e-Capcom store will receive a unique 'maki-e'-style box for their watch, as shown at the links above. The three upcoming drama CDs are to receive special edition releases for customers who purchase through Animate. Character CD Sengoku Basara -Masamune & Yukimura- comes with an acrylic keychain of Masamune, Character CD Sengoku Basara -Ieyasu & Mitsunari- comes with an acrylic keychain of Mitsunari, and Character CD Sengoku Basara -Sen No Rikyuu- comes with an acrylic keychain of Rikyuu. The pricing is ¥2,500 per CD before tax (¥2,000 if you choose the standard edition) and the release dates are still unconfirmed. The Sengoku Basara 4 Bontenmaru-hen manga has just been released as a standalone volume collecting all of the individual chapters, and its creator Yoshihara has asked fans on Twitter whether they can keep information circulating about which stores are stocking the book and how long their copy took to arrive. It might be fun if some foreign buyers can respond too to let him know how we're purchasing his book too, right? Last but not least, there's also an official announcement trailer for the Date Masamune 'Cocorobo' vacuum cleaner from SHARP. I'm sure that I won't be able to afford one but it doesn't make it any less fun to follow the publicity. I'm scared that I won't be able to afford the vacuum cleaner because it sounds incredible, hahaha. Yoshihara was very excited when I sent him a silly picture showing the manga in London. He seems so kind, replying to every single comment about the manga and sharing pictures with us all the time. Every message of support must mean a lot to him. I hope he gets to work on more manga adaptations for Capcom in future.